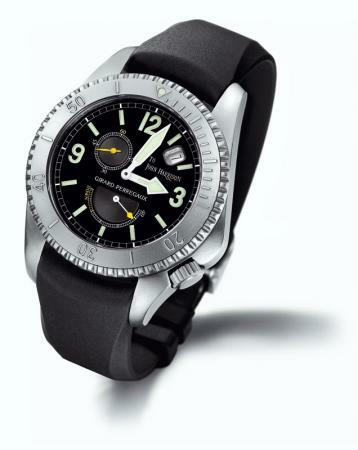 Girard-Perregaux’s SeaHawk II is now available in a titanium case (measuring 42mm). It features the GP caliber 33RO with 46 hour power reserve, a sapphire crystal and water resistance to 300 meters. The dial is available in slate and titanium bracelet or sharkskin strap are options.